About a decade ago, a new breed of technology vendors crashed the MarTech scene promising the ability to track and measure consumers across devices and help marketers understand how ads drove sales. 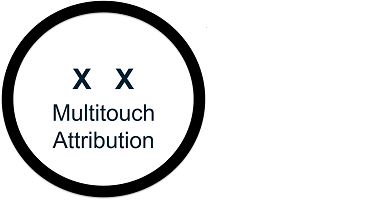 These vendors created a new market in “marketing attribution”, and industry analysts followed creating a category frequently referred to as “multi-touch attribution”, or its acronym “MTA”. The promise of this technology was intoxicating to marketers. In fact, in the early days, it was quite difficult to convince marketing leaders that one could measure the value of campaigns without tracking a consumer at each step of their journey, much less make the case that there were techniques that are far more accurate and comprehensive. Things have changed, and the rate of change in the market is accelerating. The first wave of MTA change occurred when adoption followed the typical hype curve- a dramatic swell of enthusiasm followed by the hangover of reality. Early adopters found that the approach was very difficult to implement, was extremely brittle from a data and data collection standpoint, and it lacked predictive modeling sophistication as well as an ability to measure anything offline (whether traditional media or non-digital sales). Some of OptiMine’s most successful customers are those early adopters who skinned their knees with MTA but continued to look for better approaches in the market that don’t rely on consumer tracking. OptiMine’s approach is fundamentally different and is a breakthrough in the market: we Do NOT rely on PII, cookies, and tracking consumers and devices, but instead use highly sophisticated algorithms, machine learning and automation to determine the incremental value of each marketing campaign. It just has taken time, and the difficult real-world experiences with MTA, for brands to realize there is a better way to measure marketing performance. Many brands have also noted that MTA provides little additional benefit beyond traditional web analytics, and that the overlap is expensive and unnecessarily duplicative. Compounding things further, substantial confusion in the market conflated MTA’s ability to track a consumer journey with the ability to accurately know what an ad is worth, and this confusion still exists in spades. The fact is, MTA is a good approach to track a consumer’s digital experience while allowing marketers the ability to digitally target and personalize, but it is a poor capability to measure the incremental contribution of marketing. The second wave of attribution change is happening right now with both regulatory pressure and the walled gardens altering the tracking landscape. A significant regulation change in the EU – the General Data Protection Regulation (GDPR), which goes into effect on May 25, 2018 – is aimed at increasing the privacy protection of consumers by dramatically altering the approach and types of consumer data that can be collected. Partly in response to the GDPR , Google recently announced that it will no longer provide user IDs from its DoubleClick ad server. The consequence of this move is twofold: MTA vendors and approaches that rely on this ID to help identify and track consumers across devices are now dead in their tracks; and, marketers looking to understand the value of Google ads must now live entirely within the Google ecosystem to understand this (that is, if they believe this is the only way to understand marketing ROI). Amazon is also starting to make broader moves to allow more targeted product ads within their networks, enabling brands to drive sales of their products on Amazon. While great for Amazon, the fact that they do not share consumer data short-circuits the traditional MTA vendors’ ability to track this cross-channel connection. Even Apple has gotten into the game (although with a move in the opposite direction). Their new SKAdNetwork API allows brands to attribute app installs directly without the need of 3rd party MTA vendors. Ultimately, the Walled Gardens’ moves all help the Walled Gardens themselves but are not advancing marketers’ ability to use MTA to measure how ads in one garden impact sales and conversions driven in another garden. This adds up to several strikes against MTA as a lasting, independent approach to marketing measurement. The final blow for MTA will take longer to evolve and take shape, although consumer sentiment is clearly changing rapidly. The early signs are troubling: the fact is, consumers don’t like to be tracked. This simple truth contributed to the GDPR regulations in the EU, and has driven the massive adoption of ad blockers and browser extensions that protect consumers’ privacy while online. The backlash over the Cambridge Analytica scandal has deepened consumer mistrust because it exposes consumers in real ways to the risks and dangers of the misuse of their highly personal data. While it remains to be seen whether this consumer backlash will yield further, more structural protections in the US, the sentiment is clear. And the implications for marketers relying on MTA and consumer tracking is troubling. It’s time for marketers to see that there is a better way to measure their marketing: OptiMine. Copyright © by OptiMine 2018. All rights reserved.